As Pennsylvania Workers’ Compensation Lawyers, we frequently get calls from injured workers looking for free workers’ compensation advice. Although we certainly recommend you schedule a free consultation with one of our lawyers to discuss the details of your specific case, we’re happy to offer our free advice for your Pennsylvania workers’ compensation claim. In Pennsylvania, injured workers are required to report their injury to their employer within 120 days. Failing to make such a report can have serious repercussions, such as preventing you from making a claim for workers’ compensation at all! 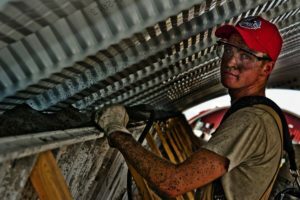 If this isn’t done, it can be difficult, even for a skilled workers’ compensation attorney, to convince the judge that your employer was otherwise on notice of your injury. While it might seem obvious, many injured workers try to “tough it up” and don’t treat for their injuries. This is the wrong move! If you aren’t receiving medical treatment, it can be extremely difficult to prove that you were hurt at work in the first place. Moreover, without a doctor to properly evaluate and treat you, you run the risk of overdoing it and worsening your injury while at home. This allows the workers’ compensation insurance company to avoid liability for your condition by blaming your work injury on what you were doing while you weren’t at work. It’s hard to know your workers’ compensation rights without speaking with an attorney about your specific case. Still, one thing that many injured Pennsylvanians don’t realize is that they have a choice of doctors after the first 90 days following a work injury! After those 90 days, you are no longer stuck with the workers’ compensation doctor: you are free to get the best doctor in town—or out of town! If you are within the first 90 days and want to pick your own doctor, please call us for a free consultation—we can help you try to find a way around it so you can get the skilled medical treatment you deserve (and make the workers’ compensation insurance company pay for it). Whatever you do, DO NOT let the workers’ compensation adjuster talk you into settling your case without a free consultation with one of our lawyers. The fact of the matter is, we’ve simply never seen an injured worker get a fair settlement without legal representation. Trying to handle your workers’ compensation case on your own would be like trying to pull your own teeth without a dentist. For workers’ compensation cases, we have extremely low contingent fees; in fact, we will likely pay for ourselves—with the added bonus of you knowing things were handled correctly and that you got a fair settlement. Moreover, you can take comfort in the fact that we’ll ensure the medical liens are taken care of, so your insurance company isn’t beating down your door asking for money years down the road, long after it’s gone. If you’re even considering the thought of filing for any sort of benefits, like Social Security Disability, Social Security Retirement, or retirement benefits through your employer, you NEED a lawyer right now. While there’s a time and place for these benefits during a workers’ compensation claim, you need to be very, very careful. Not doing these things the right way can actually allow the workers’ compensation carrier to stop paying you benefits, claiming you’ve “voluntarily withdrawn” from the workforce. We can help with this and protect your rights! Anyone can afford a workers’ compensation lawyer! Many people come to us seeking free advice because they don’t realize that anyone can afford a workers’ compensation lawyer thanks to our contingent fee arrangement. If you’re already receiving workers’ compensation benefits, we don’t start taking a fee unless we’re hauled into court to defend your benefits (in which case, you needed a lawyer anyway). If you don’t need any legal intervention, you won’t pay us a dime. Alternatively, if we help you negotiate a settlement, our fee is limited to a very small contingent amount; you don’t pay us hourly and we don’t require any retainer. If you’re reading this article and have a Pennsylvania workers’ compensation claim open, we encourage you to at least schedule a free consultation (in person or by phone) with one of our lawyers. You’ll be glad you did and we’d love to help. Give us a call at 814-452-6232. Although located in Erie, PA, we take cases all over the state of Pennsylvania.